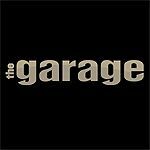 Upstairs at The Garage hosts regular live music nights and has seen a selection of exclusive gigs in the past. The venue specialises in indie and and rock acts. Do you work at Upstairs at The Garage? What did you think of Upstairs at The Garage? Upstairs at the Garage played host to one of the best nights of my clubbing life! We were there last Friday and saw the Fades perform which whipped the crowd into a frenzy. The place was packed but the good thing about Upstairs at the Garage is that you don't feel claustrophobic as there's plenty of chilled out areas you can retreat to. Excellent night that will take a lot of beating! AVOID, AVOID, AVOID!!! This is the worst club I have ever been to. The venue looks like a town hall, the music is bad and the people are chavy and nasty. No one there is older than about 18. There is a queue for the smoking area (!) and you are not allowed outside unless you are smoking (no going outside to cool down or get fresh air)...and when you can go outside there is 5 minute rule and you can only whisper. The bouncers are the most unpleasant I have ever come across and are totally unnecessarily aggressive - I even saw one particularly awful female bouncer forcefully eject one girl from the club because she had had too much to drink and push her to the where she fell and hurt her leg. A promotor we spoke to beforehand said that he would rate it 6.5 out of ten...and he is paid to say good things about it. The other promotor we asked refused to tell us his rating but said that he would never volunterily go there. It is a -6.5 out of ten. Do not waste your time.